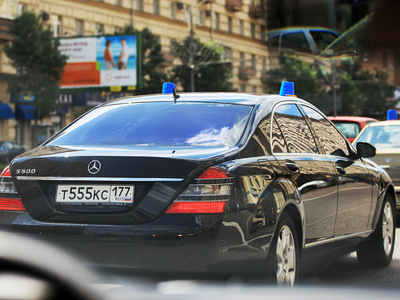 Deputy Prime Minister Igor Shuvalov will be in charge of reforms to combat the abuse of special signals on high-level officials’ cars. ­The so-called migalki, or flashing blue lights, are increasingly becoming one of the main problems on Moscow’s busy roads. Many drivers are irritated at seeing such cars on roads, and having to give way to them. Various collisions involving such cars, ignoring traffic regulations, have recently sparked public protest actions. Some have even started to post videos of such cars on-line, while others put blue plastic buckets on their cars to mock officials. In March, the lower house of parliament, the State Duma, will also discuss this situation, following last year’s accidents involving cars with flashing lights. In November 2010, a car owned by the head of Ingush Republic, Makhnoud Sakalov collided with another car. This January, a car belonging to the Federal Service for the Oversight of Natural Resources also got in a traffic accident. Another high-profile accident occurred on January 19, when the BMW of the presidential envoy in the State Duma, Garry Minkh crashed, leaving his driver died. In early February, a motorists’ protest movement called “Blue Buckets” cited information from insurance companies about 218 alleged accidents involving cars with special sirens. This report, however, has not been officially confirmed. The government’s attempt at regulating the number of cars with flashing light is not the first one. In 2007, then-President Vladimir Putin ordered that only one-seventh of the state’s car fleet was to be equipped with special signals. Many believe that the number of ‘high-profiled’ cars is still excessive. 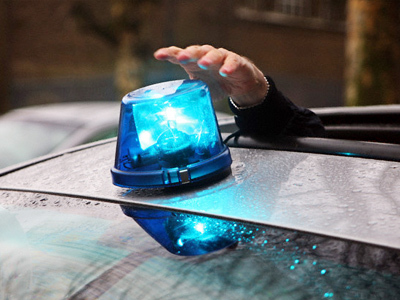 Analysts note that the current reform may result in reducing sirens on cars belonging mainly to services which do not abuse their rights anyway, first and foremost, law enforcement agencies. Petr Shkumatov, an activist of the Blue Buckets movement, believes several dozens flashing lights will be removed at best. The main problem is the number of officials who have the right to use such signals, he told Kommersant daily. In his view, it would be even better if some officials were rather accompanied by traffic police than used flaying sirens on their cars.